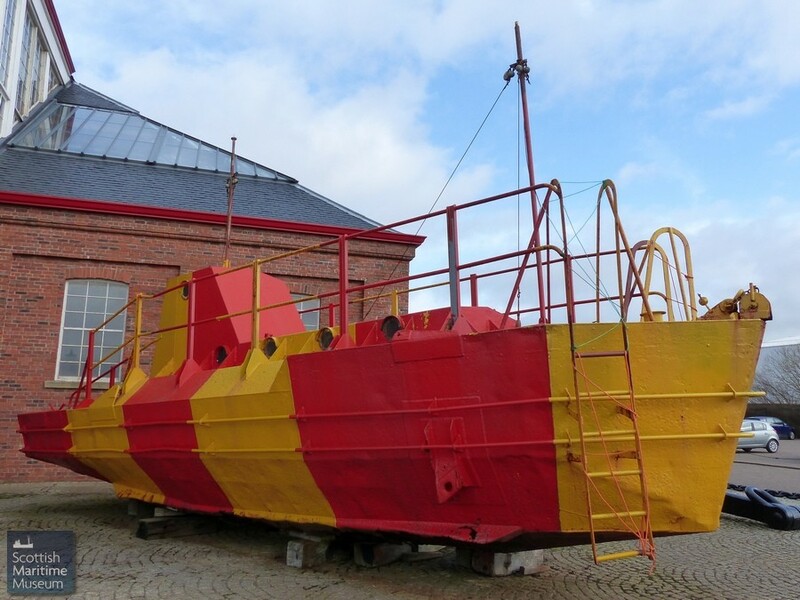 Maritime Museums and Preserved Ships. 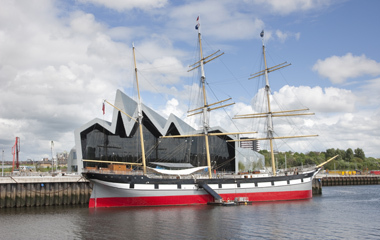 In this section we list major maritime museums in the UK, with their locations and opening hours. Scroll down or click on a museum to see the details. Model makers will find the list of historic ships particularly useful. Wingfield Castle (Paddle Steamer, sister ship Tattershall Castle may be found on the Thames opposite Festival Hall. 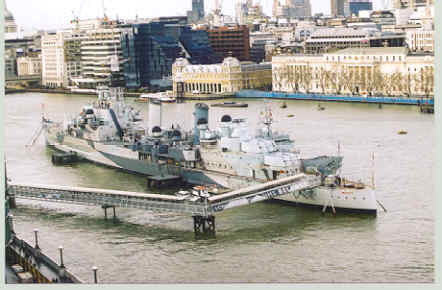 The Cruiser HMS Belfast was launched in 1938 and came to London river in 1971 after a distinguished wartime career. Charts in the bridge area show the layout for the D-Day invasion, in which she played an important part. Museum ships HMS Gannet and submarine Ocelot. Paddle steamer Kingswear Castle on site. Remarkable working ropewalk etc. Opening hours: 30th March - end October, 7 days 10.00 - 5.00. Winter - February and March, Wed, Sat & Sun 10.00 - 4.00. Last admission 1 hour before closing. 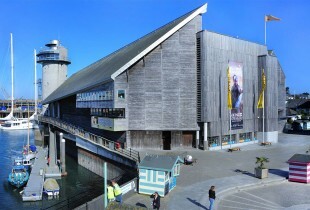 Cornwall - National Maritime Museum, Cornwall. 1st April - end September, 10.00 - 6.00 Sun 12.00 - 6.00. Royal Research Ship (RRS) Discovery built in 1900-1901, restoration going on but open to visitors. Visitors Centre alongside tells the story of Scott's Expedition. Dolphin Sailing Barge Museum Destroyed by fire. The paddle steamer Waverely is also based here when she is not cruising. Brunel's famous screw driven ship was launched in 1843 for the Atlantic route as a passenger liner and later converted to merchant use in 1852. 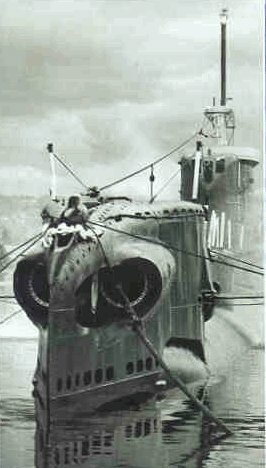 She ceased service in 1933 and remained as a hulk in thr Falklands until being rescued and returned to Bristol for restoration in the early 70s. She is now restored, ashore and fully accessible in Bristol..
Trincomalee lies in a dock surrounded on three sides by a series of original shops each dedicated to an aspect of seagoing life - a chandlers, a sword makers and so on. These are amongst the best that we have seen. 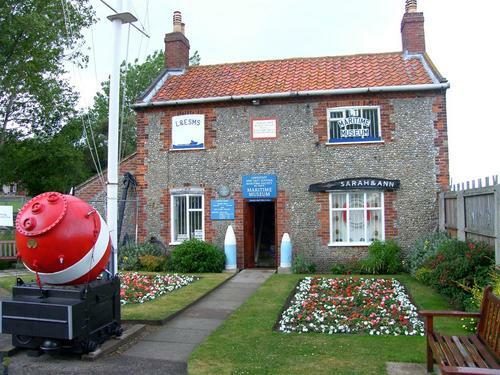 In addition there is an extensive onshore museum which amongst other things has a fine display of Cobles, two of which are also displayed on the Quayside. The Humber Paddle Steamer Wingfield Castle, built here, is alongside. (Her sister ship Tattershall Castle s moored on the river in central London Ed.) The staff are very helpful, and run a series of guided tours. Opening hours: 10.00 - 4.30 (last admission 3.30) daily. 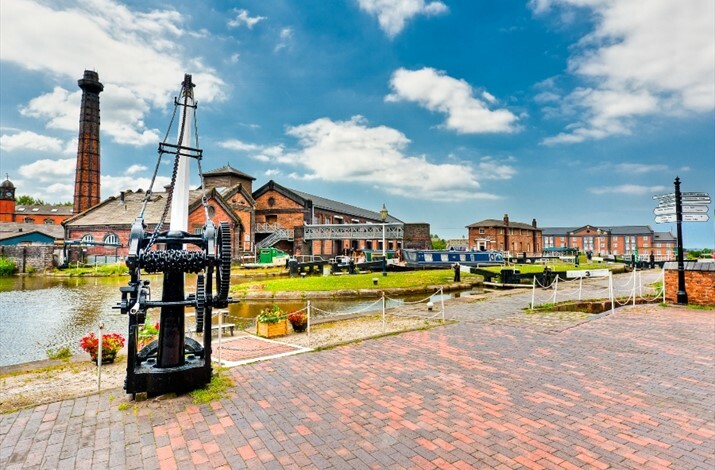 The museum is situated not far from Battlebridge Basin and occupies a Victorian ice house. Hundreds of old family photos, some dating back to the 19th Century, of fishing folk and their working or pleasure boats, a growing archive. Material on J Class Yachts. John Cabot sailed the original caravel Mathew from Bristol to Newfoundland and back in 1497. The replica which sailed to Newfoundland in 1997, was built in Bristol during 1994-1996, and is now based at Prince's Wharf Bristol not far from Brunel's Great Britain. Collection includes items on the slave trade, and emigration, the Lusitania gallery, a ship model collection including the Oceanic and the Lusitania, and a fascinating collection of convoy drawings. This museum is now closed and the exhibits dispersed. Opening hours: 10.00 - 5.00 seven days, last entry 4.30. HMS Victory, Warrior, Mary Rose, and Monitor M33. 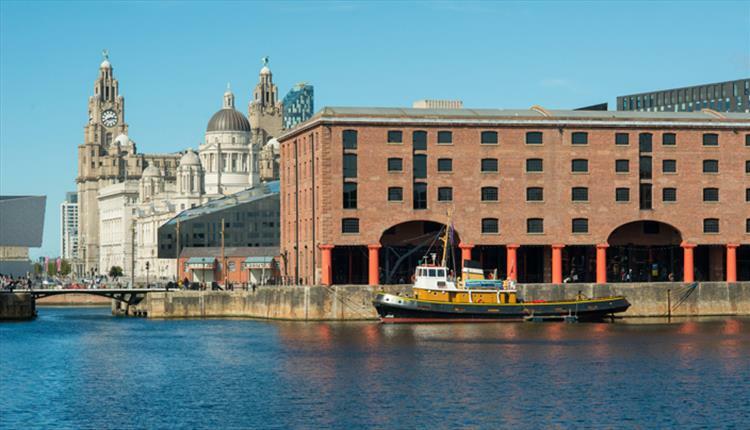 Historic dockyard and Museums. Warrior is afloat immediately adjacent to the entrance to Portsmouth Historic Dockyard . She was the last of the great "broadside" ships and for her day had enormous fire power. In Warrior a full sail plan is combined with a beautifully preserved steam plant, turning an ingenious lifting propeller. The plant is turned over for visitors and remarkable for the size of its cylinders. You will find her in dry dock at the Portsmouth Historic Dockyard, adjacent to the Victory. Used in the Dardanelle's campaign and elsewhere. She is now completely restored and an excellent subject for model makers. This museum is on the East bank of the Rhine at Koblenz and is approached from Koblenz by way of the spectacular Pfaffendorfer Bridge. 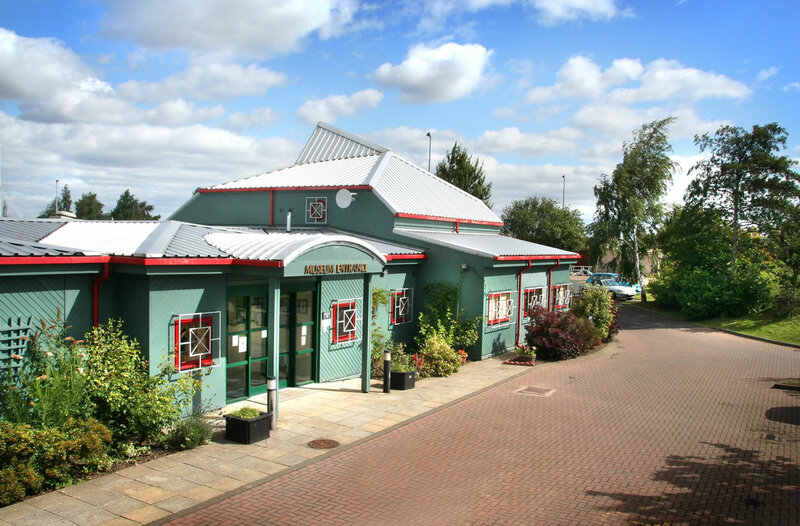 It is one of the best set out museums which we have visited either in the UK or Germany. The staff are endlessly helpful. If you don't read German the desk will provide you with "crib" sheets in English. It is permitted to take non-commercial photographs but courteous to ask first. The history of Rhine traffic is set out in separate rooms and the models used are of superb quality. They include the astonishing rope laying steam tug shown here, models of the vast Rhine timber rafts - and a wide variety of Rhine craft from early times to date. Also includes the Denny Ship Model Tank in Castle Street, Dumbarton. Details on the web site. Opening hours: Summer (Easter to October) Daily 10.00 - 5.00 Winter, Tues - Sun inclusive 10 .00- 4.00. Final entry 30 minutes before closing. Small but charming museum. 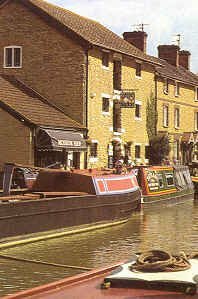 Has a boat weighing machine in a dock outside. The museum will house Lakeland steam launches and motor boats, racing boats (including Hubert Scott Paine's 1931 White Lady II,) and sailing boats.